I have planted the seeds of seasonal vegetables that i’d like to eat. 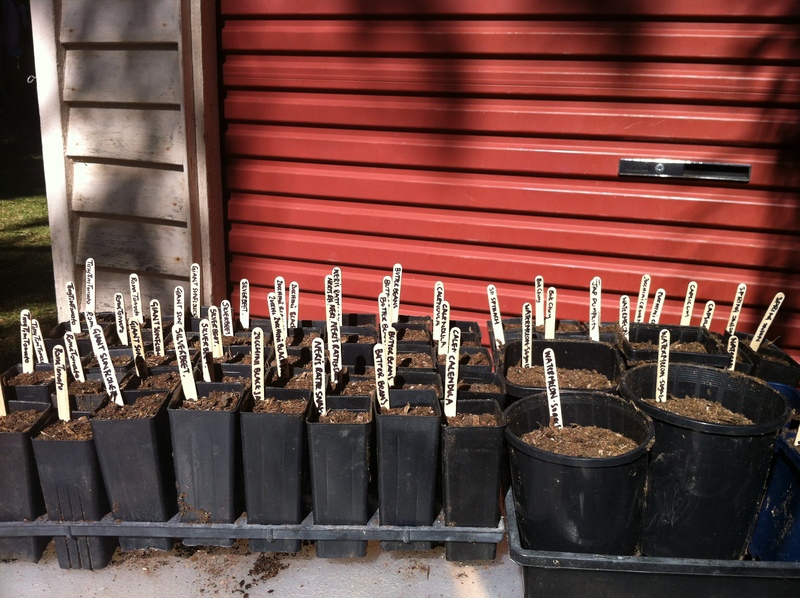 At this moment I have planted seeds that would normally be the summer crop in Melbourne – tomatoes, zucchini, pumpkin, beans, watermelon, etc. My gardening style is rather intuitive – lots of trial and error. I do hope to learn some tips from local gardeners and understand a locally appropriate crop rotation plan. 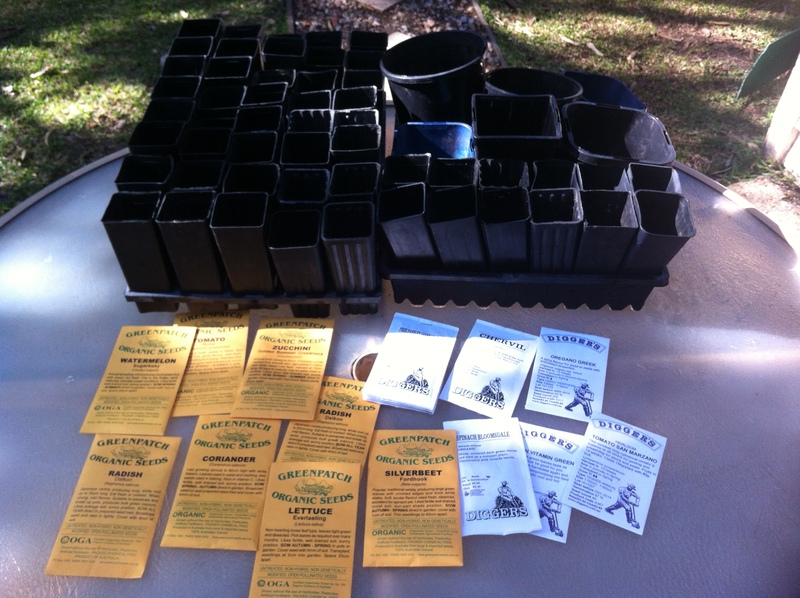 Seeds are planted in small pots, using an organic seed raising potting mix from the local produce store. With some watering each day, this should give me about 3 weeks to build the veggie garden – nothing like a bit of pressure to get motivated! This entry was posted in Uncategorized and tagged organic gardening, raising seeds, silverbeet, veggie garden by eatmysilverbeet. Bookmark the permalink.